Watch this on a mobile or tablet in fullscreen mode to get the best idea of what it’s about. The idea is that your device is part of the show. We shot this in fast and slow frames to give the idea of a person having a bad day and how it can seem that time is dragging for you while the world speeds by. 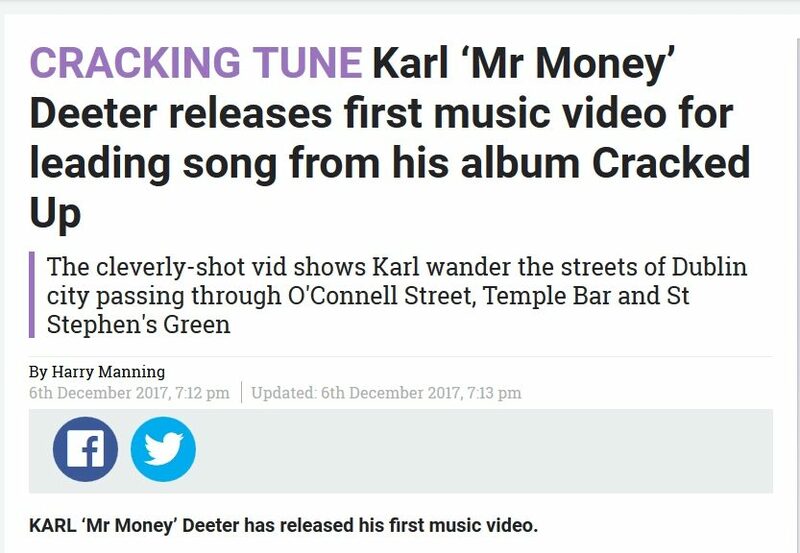 ‘Cracked Up’ video mentioned in the Irish Sun! 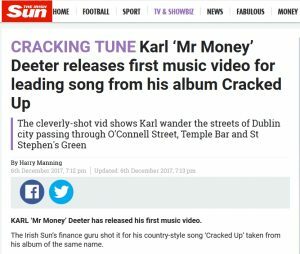 Delighted that the new video for ‘Cracked Up’ got a mention in The Sun! You can see the video on their page or check it out on the video section of this site. Black sheep has been released!